Engineered to provide consistent results. Uses an advanced formula that resists smudging, streaking, and fading. Lexmark 12A7465 Return Program Extra High-Yield Toner, 32000 Page-Yield, Black - Toner cartridges are designed for use with the Lexmark T632 and T634 Series Laser Printers. 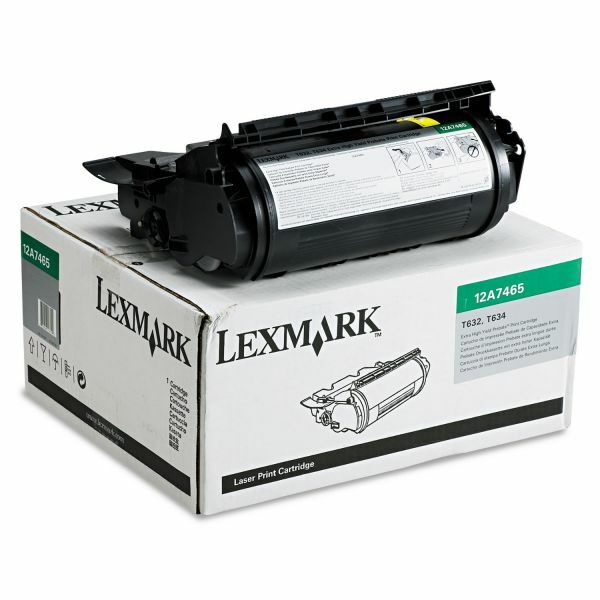 Toner cartridges offer an extra high page capacity, yielding 32,000 pages at 5 percent coverage.